I'll be honest — real life took over, and I missed the train on reviewing some limited edition palettes that I picked up when they first came out. But I thought I could still have fun, and do a style of review where, instead of reviewing the product itself (since there's a lot of posts and videos on that), I share my thoughts on whether I still think the purchase was a good one. This is my first post in a feature called "Checking Back In". First up, Kat Von D's Pastel Goth. Truth be told, this palette didn't grab my attention too much during the pre-launch hype. I tend to gravitate towards the brand's regular aesthetic, which tends to be more romantic with a hint of darkness. How would pastels fit into my style? What convinced me to pick this up was seeing a few amazing tutorials that sparked my creativity and showed me the potential of this palette. And also, I have regretted not getting some of Kat Von D Beauty's limited edition releases. Not knowing just how often I would reach for this palette, I bought it. I could end this post right now, and just come out and say it. I have not regretted picking up this palette one bit. The plethora of reviews online speak for themselves. The colors are soft and beautiful, and the quality I've come to expect from this brand is there. 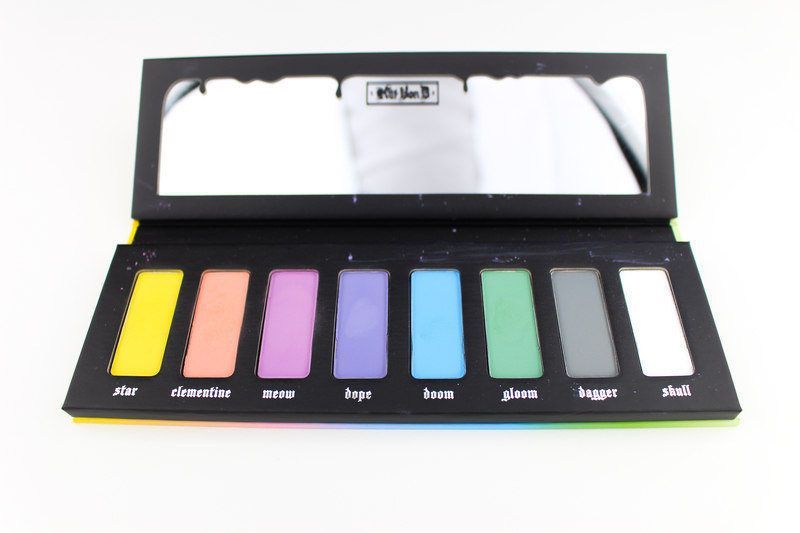 This is an adorable, fun palette that is wonderful to work with. I'm actually very surprised that I have been using it much more than I first thought I would. Clementine is my favorite shade, and I have used it as a crease transition shade for other colorful looks, and I've also used the green shade called Doom in a Slytherin-inspired green smoky look. My initial worries that I would only ever use it once for a "pastel rainbow" look quickly dissipated -- this palette is much, much more versatile than it looks, and it's even helped expand what I can do with the other palettes in my collection. It's quickly becoming one of my favorite palettes, just because of how much personality it has, and what it adds to colorful looks (not to mention, Kat's gorgeous hand-lettering work, which never fails to impress.) This is quickly becoming one of favorites on 2017, and I'm really glad I jumped on it when it was still available! 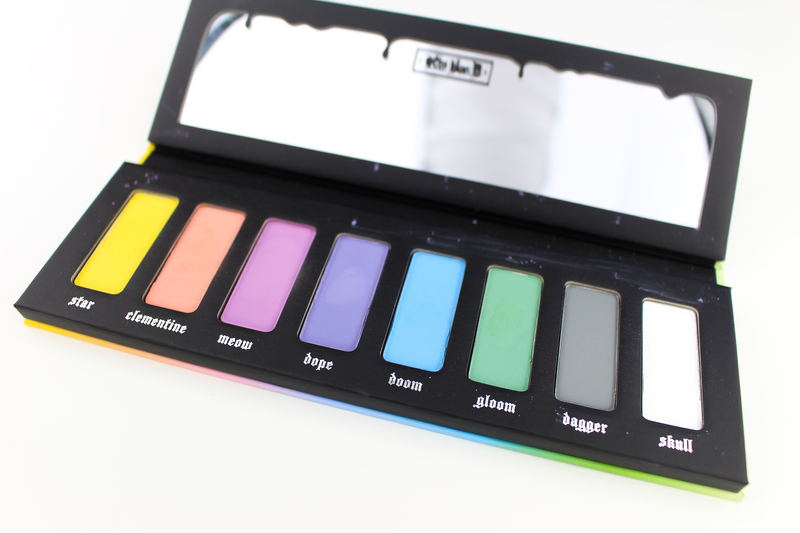 The Kat Von D Pastel Goth palette is available on the Kat Von D Beauty website.